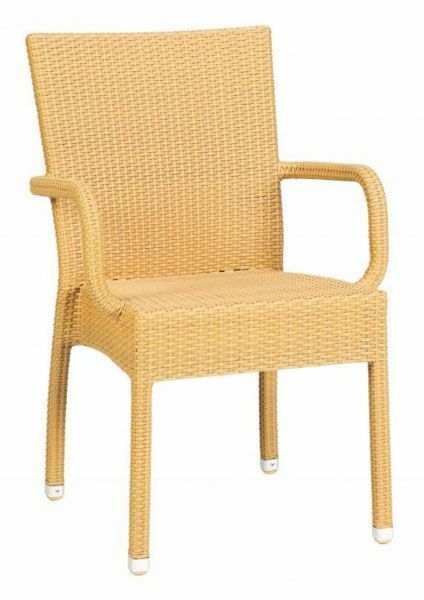 Large outdoor chair in Rattan effect beige weaved and a hard wearing Aluminium frame. Weatherproof and mould resistant and suitable for outside commercial use. High quality all-weather beige finish weave armchair, complete with a high back and sturdy aluminium frame.